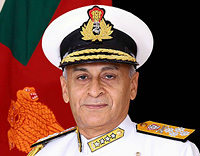 During the visit, the Chief of the Naval Staff, will hold bilateral discussions with the Chiefs of the three Armed Forces of Bangladesh and other senior officials of the Bangladesh Government and Military. The Chief of the Naval Staff is also scheduled to call on the Hon'ble President H E Mr Md Abdul Hamid and Hon'ble Prime Minister H E Sheikh Hasina of Bangladesh as part of his official meetings during the visit. 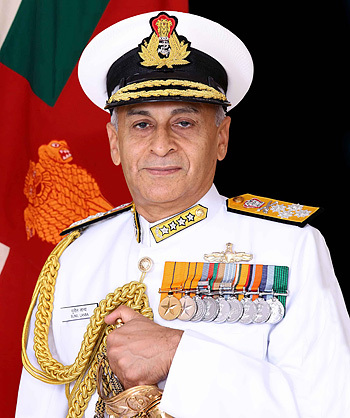 In addition to Dhaka, the Admiral is also scheduled to proceed to Chittagong and Khulna where he will be visiting various Bangladesh Naval establishments. The Chief of the Naval Staff is also scheduled to inaugurate the first edition of Indian Navy - Bangladesh Navy Coordinated Patrol (CORPAT) which is being instituted as an annual feature between the navies of both countries. The commencement of CORPAT is major step towards enhanced operational interaction between both navies. Naval cooperation between India and Bangladesh has been traditionally strong, encompassing a wide span which includes operational interactions through Port Calls, Passage Exercises along with Capacity Building, Capability Enhancement and Training initiatives. Bangladesh Navy was also the Chair of Indian Ocean Naval Symposium (IONS) from 2016 to 2018. 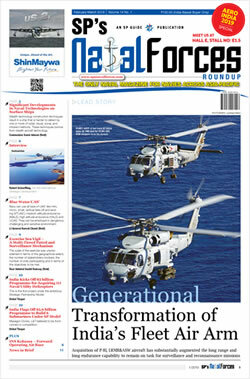 IONS is a Multilateral Maritime Cooperation platform launched by the Indian Navy in 2008. The Goodwill visit of Chief of the Naval Staff will further strengthen the strong bonds of friendship between the navies of both countries.